Telecommuting 100% of the time is by far the most desired type of flexible work arrangement among job seekers. 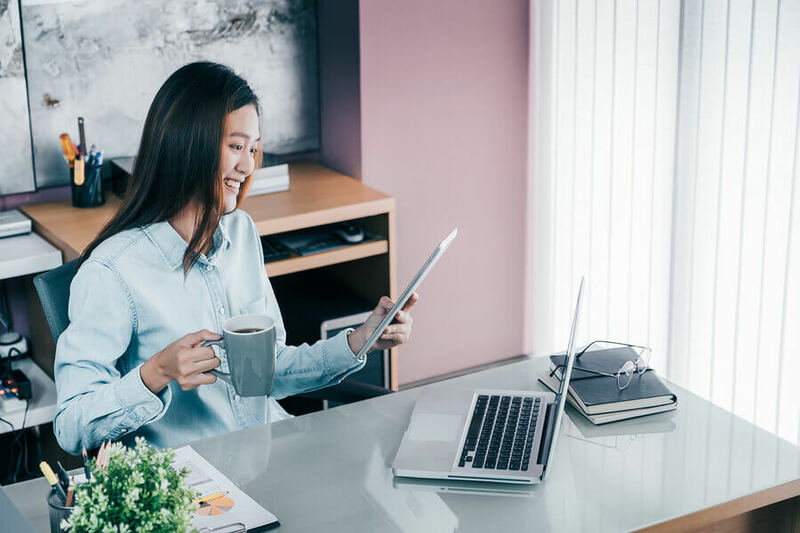 However, despite workers being more productive in a home office and the bottom-line benefits of remote work to employers, many companies are still hesitant to embrace it. For workers interested in convincing their bosses to let them work remotely, 1 Million for Work Flexibility has outlined seven unique strategies to approach managers about a work-from-home arrangement. Employees who give a straightforward, fact-based presentation about how working from home will benefit the company, as opposed to a request based on personal issues or needs, can have a greater likelihood of having their requests met. 1. Present them with data, not personal reasons. You might feel compelled by your personal reasons for wanting or needing to work from home, but a business-minded approach is usually better. Prepare a presentation focused on statistics that prove the business benefits that can come from virtual work. There are numerous studies and surveys that demonstrate how flexible work benefits the bottom line. 79% said having work flexibility would make them more loyal to their employer. 98% believe they would be as or more productive working in a home office. Only 7% say they’re most productive in the office during regular work hours. 70% say they’d be less stressed from commuting, leading to better focus at work. 2. Suggest a test run to try out the new arrangement. A manager’s concerns may be based on their unfamiliarity with how remote workers operate. Suggest smarting small with a test run. Set up a plan to work from home one or two days a week for a month. Some suggest that Wednesday might be the best work-from-home day for a manager’s comfort level. Closely track tasks and productivity on those days, communicate regularly throughout the day, and then discuss the results of the test so managers can see the return on investment in a remote work setup. 3. Provide examples of existing policies. If the test goes well, take the next step and present managers with some sample work flexibility policies from other companies and organizations. Showcase how other businesses are making these plans work. 4. Take a working sick day. If bosses are resistant to a test run, call in sick but say you’d like to get some work done from home. That day, prove efficiency when working from home is higher than working in an office. The next day give specific examples of the efficiencies you experienced and try pitching a short trial run again. If managers are presented with an all-or-nothing request, they’re likely to opt for nothing. To avoid this problem, scale back and ask to work three days in the office and two full-time days at home to start. If productivity is higher on the work-from-home days, it’s more likely the arrangement can convert to working from home full-time. 6. Communicate your communication plans. Managers might be wary of remote work because they are unfamiliar with the communication tools workers use to stay connected virtually to their in-office coworkers. Demonstrate familiarity with communication tools such as Skype, Google Hangouts, FaceTime, and other videoconferencing programs. Lay out where, when, and how often they can expect to hear from you during the week. 7. Be patient and look for opportunities to prove yourself as a remote worker. Managers may need time to process something new, so be sensitive to that reality. Keep working toward the goal, but always show patience and be respectful. And look for opportunities to prove your ability to efficiently work from home—during inclement weather, when you need to be home to meet the electrician, or when you take work home to finish at night or on the weekends, for example. For additional resources to support a remote work request, see 1MFWF’s guides on the “Business Case for Work Flexibility,” “Types of Work Flexibility,” and “Work Flexibility Policies” around the country.